In a recent news release, the Saudi government announced a financing deal with Jeddah Economic Company and Alinma Investment to build Jeddah city, including Jeddah Tower, a 3,280-ft. skyscraper expected to be complete in 2020, for $2.2 billion. 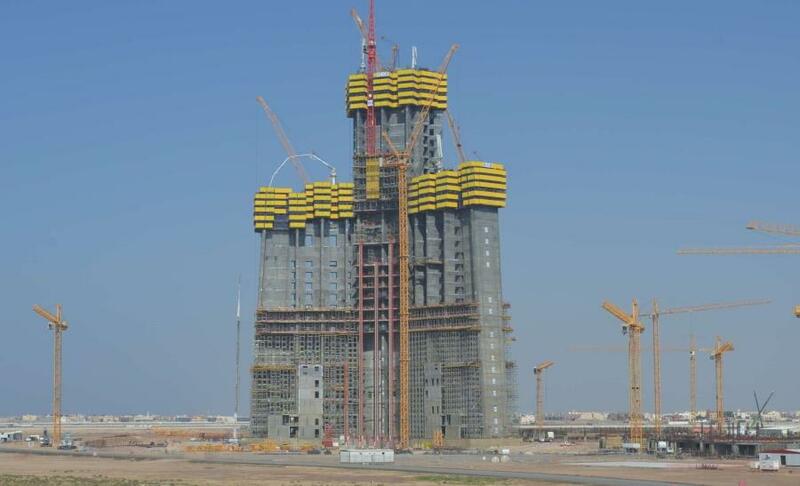 A new planned tower in Saudi Arabia will soon capture the title of the world's tallest building. In a recent news release, the Saudi government announced a financing deal with Jeddah Economic Company and Alinma Investment to build Jeddah city, including Jeddah Tower, a 3,280-ft. skyscraper expected to be complete in 2020, for $2.2 billion, CNN reported. The Jeddah Tower will rise 564 ft. above Dubai's Burj Khalifa, which is currently the tallest building in the world. The design includes two hundred floors, which will look out onto the Red Sea. Around 5.7 million sq. ft. of concrete and 80,000 tons of steel will be used in the Tower's construction. The 200-ft.-deep foundations will need to be constructed to hold up against the ocean's saltwater, and will require Advanced Construction Technology Services to test different types of concrete. To head off potential wind load issues, the tower's shape will change at regular intervals, CNN reported. "With this deal, we will reach new, as yet unheard of highs in real estate development, and will fulfill the company's objective of creating a world-class urban center that offers an advanced lifestyle, so that Jeddah may have a new iconic landmark that attracts people from all walks of society with comprehensive services and a multitude of uses," said Mounib Hammoud, CEO of Jeddah Economic Company.